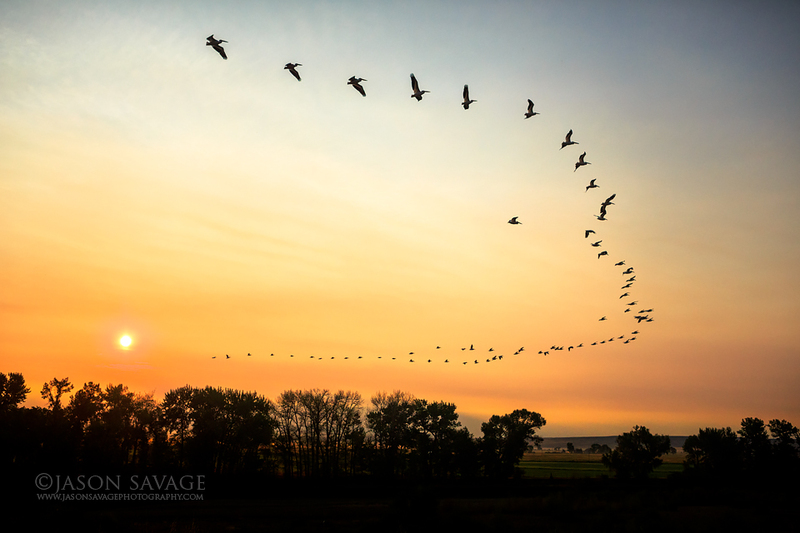 This is a flock of Pelicans flying over the Jefferson River in Montana. I took this yesterday morning as I was driving along the river. Probably not the best idea to be photographing and driving, but I couldn’t resist as it was such a cool site to see them lifting off and following the river at sunrise. They followed along next to me for miles, such a perfect morning.